J&M’s latest models of laboratory spectrometers, the TIDAS® L series of diode-array spectrometers, follow an approach of integration. The TIDAS® L instruments feature an integrated PC with a large, high-resolution touch screen running the powerful TIDASDAQ software. 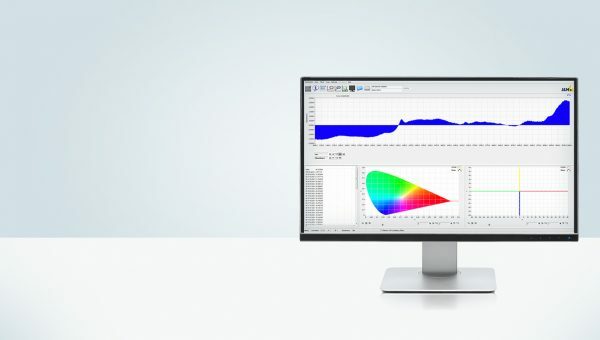 The instruments can be run stand-alone or be connected to your network to share the results of the analyses in your organization. The diode array technology gives you rapid results over the full spectrum with each scan. 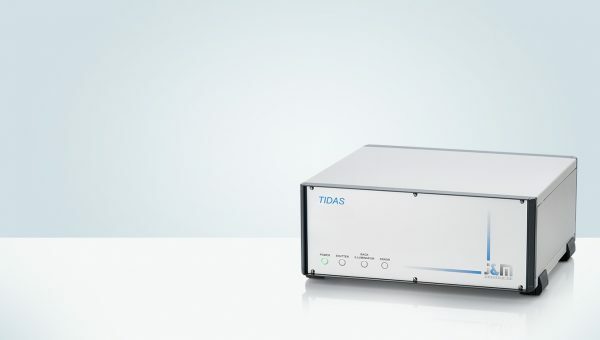 The TIDAS® S series utilises our many years of experience in the combination of diode array spectroscopy with fiber-optic technology. 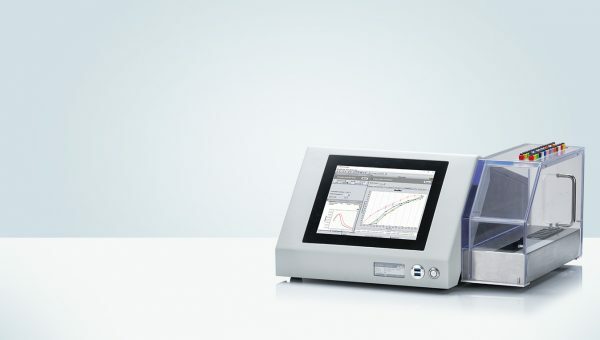 These spectrometers combine modularity, ﬂexibility, ease of use and high quality in one. Their broad capabilities are demonstrated by the wide variety of applications. TIDAS® S systems are either standardised or may be configured on an application-specifc basis for UV/VIS/NIR applications. The use of certifed optical fibers in combination with optimised measuring cells allows the achievement of reliable measurement results. The range of measuring cells runs from simple cuvette-holders to couplings for microscopes made by many different manufacturers. In addition to the measurement of transmission or reﬂections, the measurement of ﬂuorescence or emission signals is also possible. The TIDAS® E series of instruments has been developed especially for education and research. 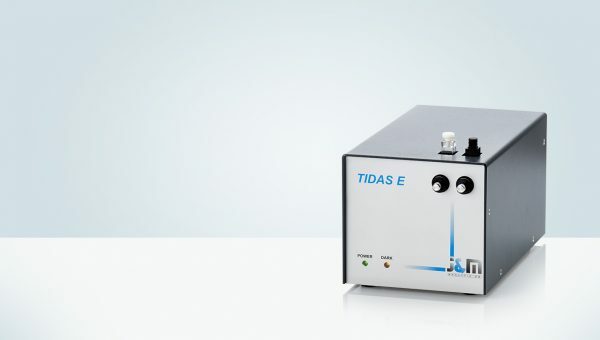 The TIDAS® E range allows diode-array spectrometers and ﬂexible optical fiber technology to be used straightforwardly and at a reasonable price. 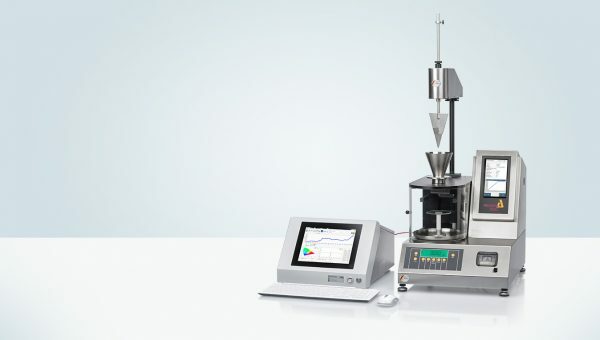 These systems are suitable for routine measurements in the laboratory. Trigger and control cables allow the coupling and control of external devices such as specimen or flter changers and light sources. TIDAS® E systems are available as preconfigured versions. 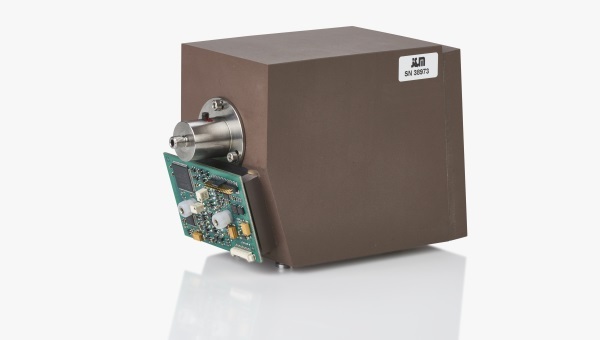 The integrated UV/NIR spectrometer with a wavelength range of 190-1100 nm. The total package for NIR applications including PC and software. 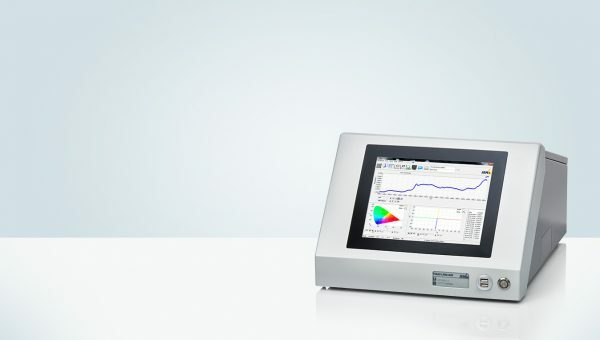 The powerhouse spectrometer – featuring Raman technology. LED-based moisture sensor for laboratory applications. 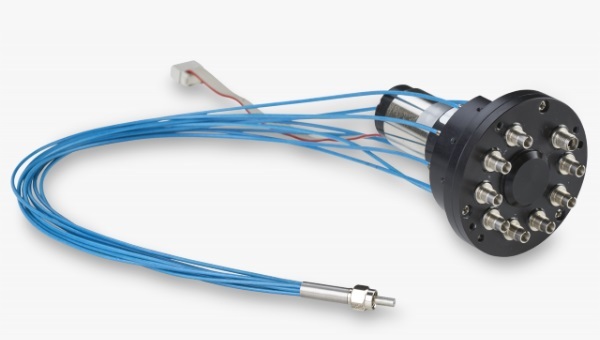 Highly sensitive photomultiplier with fiber optics for LIF applications. Spectral sensor with diode array and monolitic optical bench for UV monitoring. UV optimized, high resolution spectral sensor with diode array and monolithic optical bench for UV monitoring. Spectral sensor with diode array and a monolithic optical bench optimized for color measurements. Spectrometer with diode array and ceramic optical bench optimized for UV applications with high optical resolution. Wide range spectrometer with diode array and ceramic optical bench optimized for UV-NIR applications with high optical resolution. Spectrometer with diode array and ceramic optical bench optimized for color measurements with high optical resolution. Spectrometer with diode array and ceramic optical bench optimized for multi-layer film thickness measurement. Highly sensitive spectrometer with CCD sensor and ceramic optical bench optimized for fluorescence and microscope applications. Fast and highly sensitive diode array spectrometer with fiber optics optimized for NIR applications. Fast and highly sensitive diode array spectrometer with fiber optics optimized for Raman spectroscopy. Compact UV/VIS spectrometer for education and research. Compact VIS/NIR spectrometer for education and research. Compact UV spectrometer for education and research. Detection system for diverse applications in UV/VIS. Detection system for diverse applications in VIS/NIR. Detection system for diverse applications in UV. Data acquisition and processing software for all TIDAS® spectrometers. J&M, as the pioneer in fiber optic spectroscopy since 1987, is well known for its superior HPLC UV/VIS diode array detector modules. We support you as an OEM customer in creating and implementing new technologies into your application. The J&M TIDAS® diode array spectrometer series are the fastest and most sensitive in their class and field. They use high quality optics, powerful electronics, customized fiber optic probes and software. To achieve this, J&M has developed a new family of sensor electronics. 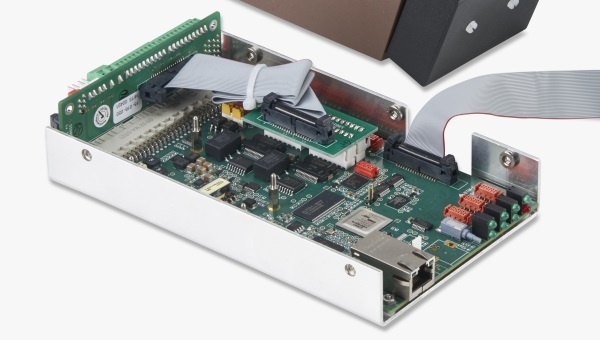 Combined with powerful on-board processing capabilities and different process interfaces, the ASPEN electronics Family is the basis for the OEM instrumentation. Not only technical aspects like our know-how in fiber optics design but also understanding your needs for quality and cost effectiveness creates value for our OEM customers. We provide detectors, light-sources, opto-electronic components and software modules for customer specific applications. The components are optimized for use with optical fibers and are designed to be integrated seamlessly. Our in house R&D team with experts in precision engineering, optics and electronics will work with you to understand your application and to develop the URS. Fiber-optimized diode array detectors for the UV/VIS/NIR wavelengths. TIDAS® P systems are easy to use and provide accurate results, quickly and reliably. Detectors, optical fibers and light sources are contained in housings that are fit for process and which meet the most varied of requirements up to and including ATEX certifcation. 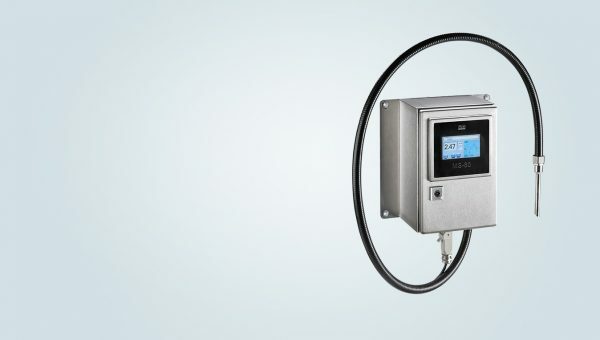 The combination with process-focused and automatable measurement probes and multiplexers gives rise to robust systems for on-line, in-line and at-line measurements. Standardised or customer-specifc software packages (which comply with 21 CFR Part 11) for control, data entry and evaluation round off the TIDAS P series. 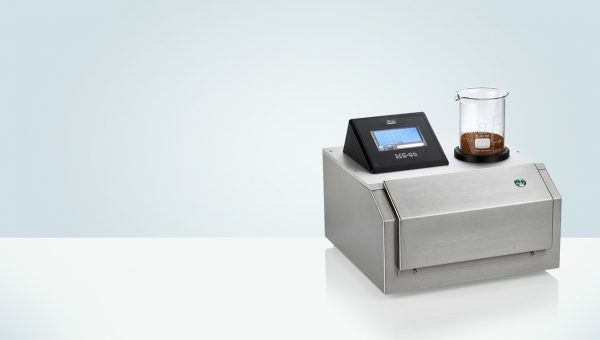 Say goodbye to manual sampling and time-consuming laboratory analysis. Our optical process analyzers for monitoring of various process parameters are based on absorbance, fluorescence and/or Raman measurements. 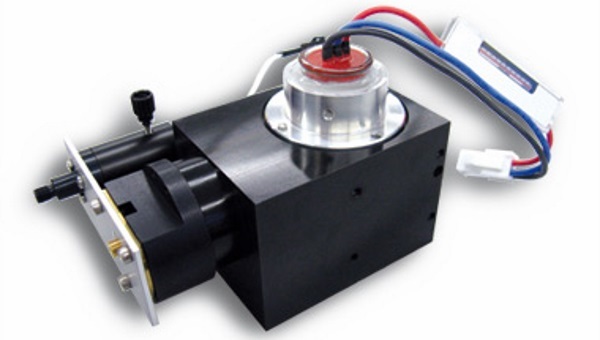 J&M TIDAS® P analyzers have been carefully designed for industrial use. Boasting high levels of sensitivity and selectivity guarantees constant and reliable results in real-time to help you manage your daily challenges in the production process. Eliminate unnecessary waiting and reduce downtime – which means more productivity. And if you tend to look critically at overall costs (total cost of ownership) when acquiring systems for process analysis, you’ll be impressed not only by the modest level of investment involved, but also by the almost negligible operating costs. Our tough analyzers work reliably and precisely, fulfilling the highest standards and enabling automated in-line measurement, even in production environments that are hostile to electronics. 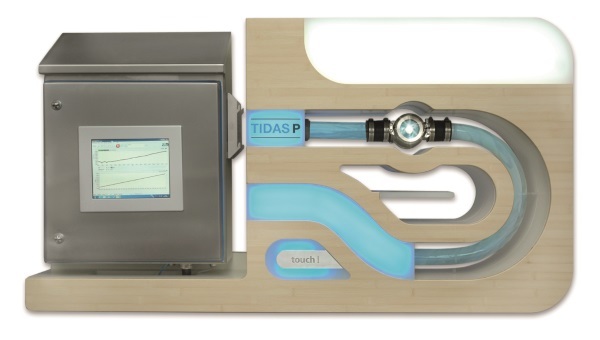 TIDAS® P, therefore, is a system which can be used in many industries and is ideally suited for automated process monitoring. Optical spectroscopy is well established and a modern tool for real time process monitoring. Today it is used in many different applications. Color Analysis, Fat, Protein and Dry Mass in Dairies, Particle Size, Moisture Content, Cleaning Validation, Blend and Reaction Monitoring are only a few keywords for a fast growing list where the analyzers are installed for process optimization. Modern process analytical chemistry and technology applications are reviewed from the point of view of acquisition, resolution and analysis of trajectories. The trajectory is constituted of an ensemble of projection) of the entire process phenomenon. The TIDASDAQ software package includes powerful algorithms and tools to understand the trajectories and achieve the target values. J&M provides support during installation, integration and operation of TIDAS® P instrumentation in process monitoring or process control systems. J&M offers guidance and support in all questions concerning UV/VIS/NIR spectroscopy and integration of TIDAS® P systems into process applications. We analyse the process in close cooperation with the customer and according to the problem offer test measurements. By selection of suitable methods like multivariate data analysis, a chemometric model is created from the results of the feasibility study. This model can then be used to obtain the necessary data for an optimisation of the process. All essential documentation (IQ/OQ, FAT/SAT) can be prepared as well and complete this product range. Spectral sensor with diode array for UV monitoring in the process. Diode array spectrometer optimized for UV applications in the process. Fast and highly sensitive diode array spectrometer with fiber optics optimized for NIR applications in the process. In-line optical measurement system for fat, protein and dry matter in dairy. LED-based sensor for in-line moisture monitoring. Fast and highly sensitive diode array spectrometer with fiber optics optimized for Raman applications in the process. Spectrometer system to monitor a Cleaning-In-Place (CIP) process.